The All New ‘Knotter’ Washing Machine! As our toaster, ‘Sir Burnsalot’, filled the kitchen with billowing clouds of smoke, I opened the doors and windows and pondered when manufacturers started relying on the buying public to road test their products? Surely the makers of ‘Sir Burnsalot’ wouldn’t release a toaster with ten settings, eight of which produce charcoal, while anything below two merely warms your bread slices? 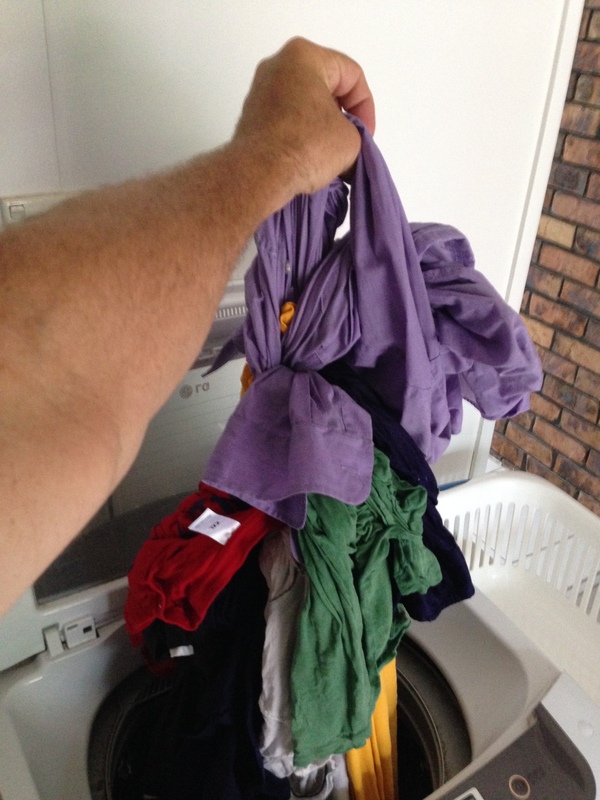 And do the designers of our washing machine, ‘The Knotter’, know that they’ve created a machine that not only cleans your clothes, but ties them into a ball so tight that they can only be separated with a very sharp axe? “And the murderer is!” No Signal. “He’s going to score! It’s…” No Signal. “Let’s remove those wet clothes my dear…” No Signal. Mind you, ‘The Blippers’ remote control has earned Greg’s Five Thumbs Up, because ours has spent more time flying through the air than a long haul aircraft and survived some spectacular landings. Finally, each morning I lurch from my bed trailing one leg uselessly behind me thanks to ‘The Chiropractors Friend’, aka: the Mattress from Hell. I’ve often wondered if anyone at the factory has spent more than three minutes lying on one of their back wrecking creations. Occasionally I’ll toy with upgrading all these items but I’m not keen to fork out more money to assess another batch of untested products, so I’ll put up with them; for now. This entry was posted in On a Lighter Note... and tagged Mattress, Shonky Products, Toaster, Washing Machine, Whitegoods. Bookmark the permalink. I’m an old skater myself, although I spent more time carrying my board while limping home covered in gravel rash! We didn’t have skate parks back in the day 🙂 Unfortunately, no matter what your hobby or pastime, there are always ‘the few’ who give the many a bad name. Personally I reckon Australia is in pretty safe hands if the young people around me are any indication.